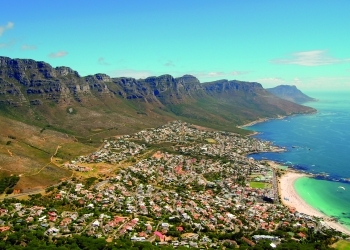 Cape Town is a unique city which is extremely popular with travellers of all ages. The natural beauty is a constant wonder for visitors, with Table Mountain providing a striking backdrop to this relaxed, cosmopolitan city. Classic Cape Town allows students to experience this vibrant, multicultural city in a safe EC environment. Live in a comfortable, local home and experience a new culture with the homestay. Enjoy a warm environment and home-cooked meals. Public transport or homestay providers drops off. Allowance of ZAR50 per day for lunch, which can be purchased very close to the school. Students will have dinner with the homestay provider. Dinner generally includes a salad, meat or fish, pasta or rice. At the time of booking, EC must be advised of any medical conditions, allergies or medication that needs to be taken by the student. EC will endeavour to find a homestay provider that can accept students with medical conditions. However, if we are not advised of this in advance, EC cannot take responsibility should the homestay provider refuse to accept the student in their home. Students must have adequate health, accident and travel insurance while attending any of our programmes.The insurance must be acquired prior to their arrival. Students will also be allowed access to living areas during acceptable hours. All students will have access to a phone and will be allowed to accept incoming calls. Calling cards can be found in many local stores. International Leaders are accommodated in twin rooms shared with another International Leader. If International Leaders book a single room, a single room supplement will be charged at the time of booking and reserved based on availability. With advance notice, EC can accommodate special requests, e.g., non-smoking family, no pets, allergies, special dietary requirements, etc. Students should bear in mind that this may not always be possible. Valid reasons must accompany a request for a homestay change, and each request is considered on its own merits. Such changes are also subject to availability. Students must pay for all costs incurred, including transport, additional accommodation charges and cancellation fees (where applicable). The additional charges must be paid in full prior to the move. EC is happy to assist students with arrangements for any justifiable accommodation changes. Bed linen is provided; students should bring their own towels. Towels and linen are changed weekly by the homestay provider but the student will have access to a laundry facility. Students can use laundry facilities once a week. Depending on the homestay, the homestay provider may either do the student's laundry, or the student may have to do his/her own. If the school is busy, EC will utilise a Double Banking timetable. All lessons and activities work together. Each week covers a different theme and what's learnt in class is linked with activities outside of the classroom.This means learners get to use and practice their skills every single day. On the first day, all students take a placement test, allowing academic staff to place students in the relevant group for their ability. In the afternoon, students will be given an Orientation Tour. All students must attend school and activities on a daily basis unless they are genuinely indisposed (due to illness, for example). In the case of a student falling ill, an EC member of staff will accompany the student to a doctor or hospital. Any EC student on the EC Young Learners programme caught consuming alcohol during their stay risks being expelled from the school and repatriated to their home country. No alcohol consumption is permitted during the programme regardless of age. The consumption and possession of any illegal drugs will result in the immediate expulsion and repatriation of the student and the possible intervention of the police. At EC, we endeavour to provide our students with the highest possible level of service. If, however, a student is dissatisfied with any aspect of their programme with EC, we ask that they inform us immediately. Most problems are small and can be quickly resolved by our staff members. During the first week of school, all students are sent an initial on-line Course Evaluation form, in which they are asked to evaluate various aspects of their stay, such as tuition, accommodation and leisure. The form also allows students the opportunity to bring to our attention anything that is not to their satisfaction should they feel unable to speak to us directly. Solutions to any issues will be provided and all necessary parties will be notified when applicable. Students are also requested to complete an online End of Course Evaluation form at the end of their stay which gives then the opportunity to provide EC with general feedback before returning to their home country. Curfew times must be respected by all students. If students know they are coming home late, they should let their homestay provider know. Students must ask for the homestay provider's permission before bringing any guests home. In any of the above circumstances, the student is informed that their stay is going to be terminated with immediate effect. Simultaneously, EC informs the student’s agent of the student’s behaviour and the course of action to be taken. The earliest flight available is booked at the students' expense and an EC staff member accompanies the student to the airport to ensure that the student leaves the country. Following such action, EC will terminate all relationships with the student and will be unable to take further responsibility for the student. No refunds will be given to any students who have been expelled.